She says that it’s been both a blessing and a curse. My daughter is in Washington DC waiting to start an internship at the Smithsonian Museum of American History. The position was scheduled to begin on January 14. But . . . mmm, yeah. She’s had a couple of weeks of free time due to the inability of grownups to get along and do important things such as paying people and funding the government. And like 100s of thousands of others, she’s looking forward to getting in to work over the next few days. The silver lining, of course, is that she’s had a few days to act like a tourist – touring monuments, exploring great little eateries, and visiting museums that have remained open. One of her new faves is the Folger Shakespeare Library. And to be honest, it’s a site I haven’t spent a ton of time exploring until she started texting photos and links to it. One of the most interesting images for me as a history nerd? A photo of a botany book from 1672. So I’m hooked already. Old books. Chocolate. And piracy. How have I never heard of this place before now? Here’s the point. We can sometimes get in a rut in our instruction. Textbooks. The occasional SHEG lesson plan. Some Library of Congress documents now and again. And a test. There always seems to be a test. But seriously. Are you kidding me? A pirate who storms Spanish forts in the Caribbean, steals treasure, and collects plants? To make hot chocolate? I so need the movie version of this. Think about it. We’ve got the Columbian Exchange thing going on. Chocolate from the New World. Sugar from the Old and cultivated in the New. Triangular Trade Route. Supply and demand. The economics of slavery. The moral blinders slipped on by Europeans and colonists to satisfy their newly acquired chocolate addiction. The interconnectedness and stories that can be uncovered by your kids from these few pages of a pirate’s plant book are almost endless. So don’t be afraid to think about using resources that seem a bit unorthodox, maybe just a bit un-social studiesy. I really haven’t thought about the Folger Shakespeare Library as an instructional resource. Because . . . well, it’s Shakespeare. But as I start to think about social studies through the lens of telling people’s stories, it makes a ton of sense. Who tells a better story than Shakespeare? So don’t worry about teaching just social studies. Worry about finding and telling amazing stories. And then use those great stories to train your kids to find and tell their own. The social studies will take of itself. The Library’s Classroom Resources is a great place to start. Click on the Teaching Modules and explore the many different ways to integrate literature into your social studies. I especially love the module titled Classroom Conversations About Identity and Difference. Right now, every day, in classrooms across the United States and around the world, you and your students face this reality: as a country and across the world, we are profoundly divided, polarized by our lack of knowledge, lack of empathy, and lack of understanding of one another. Issues around our identities and differences—perceived and/or actual—tend to get us pointing at one another rather than listening to one another. If we talk, listen, and talk back to one another, if we hear each other’s stories, there’s a chance we can learn, empathize, and understand. You can also find tons of resources and connections with other teachers at Forsooth! – their online community. And definitely be sure to spend some time in their Collection area. You’ll find info on current exhibitions but you’ll digitized versions of world’s largest collection of materials relating to Shakespeare and his works. These range from the 16th century to the present day, as well as a world-renowned collection of books, manuscripts, and prints from Renaissance Europe. Which is where the chocolate pirate comes back into the story. The Folger education people post ideas, resources, and great stories about people on their blog Shakespeare and Beyond. 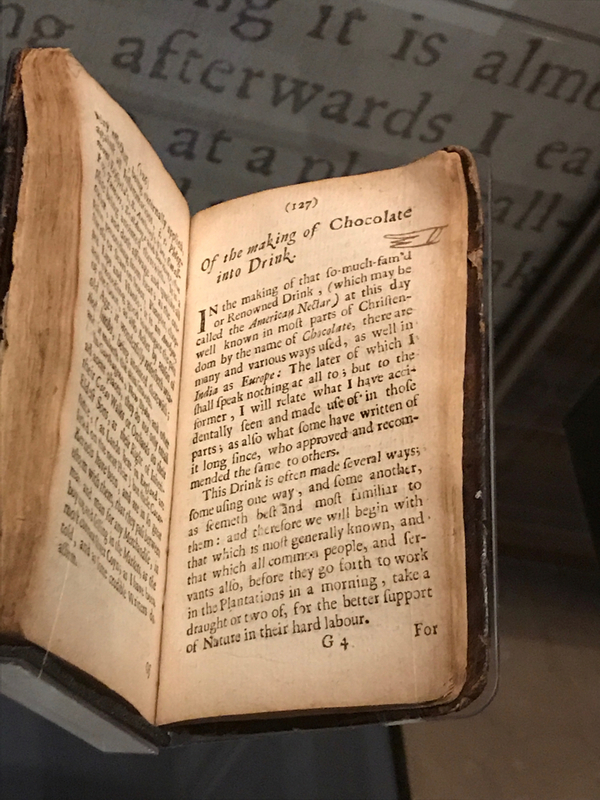 If you’re curious about the hot chocolate recipe and need to give it a try, the Folger people have got you covered. Head over to their blog, make a few cups, and spend a few minutes exploring a few of their other posts. Don’t limit yourself – or your kids – with traditional tools and resources. Feel free to color outside the lines. Go check out some Shakespeare.